It's been a good week to be the Queen. Just days after being presented with the Jimmy Iovine Icon Award at the Revolt Music Conference in Miami, Queen Latifah was center stage in New York Monday night as one of the honorees of the VH1 "Save the Music" 20th anniversary gala. Latifah was honored for her contributions to the world of music and continued efforts to ensure students in every school across the country have access to music as part of their school day. Grammy-winning musician Wyclef Jean performed at the event. 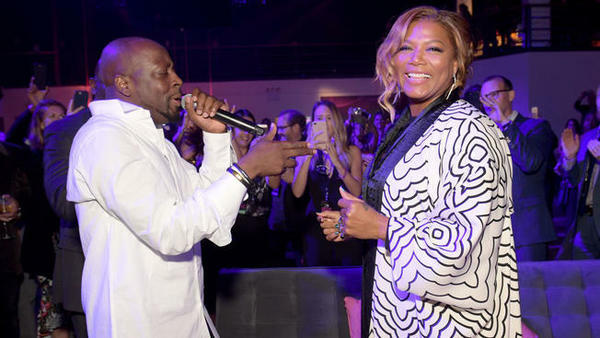 Wyclef praised Latifah for her long standing commitment for mentoring up and coming groups, including Wyclef's own Fugees back in the day.